Having interviewed her a couple of months ago was such a cool experience already but I just heard TV5, led by Ms. Luchi Cruz Valdez received awards from the PMPC Star Awards for Television last October 23, 2016. It is through her leadership that they have gotten that Best Public Service Award for TV for AKSYON TV's Buhay OFW and also hard hitting reporter Erwin Tulfo for the acclaimed prime time news show AKSYON Prime. The news organization is still in it's infancy and might I tell you they're not as big as the other station's man power but they have delivered in quality, and reported at par where they need to, when we need it. 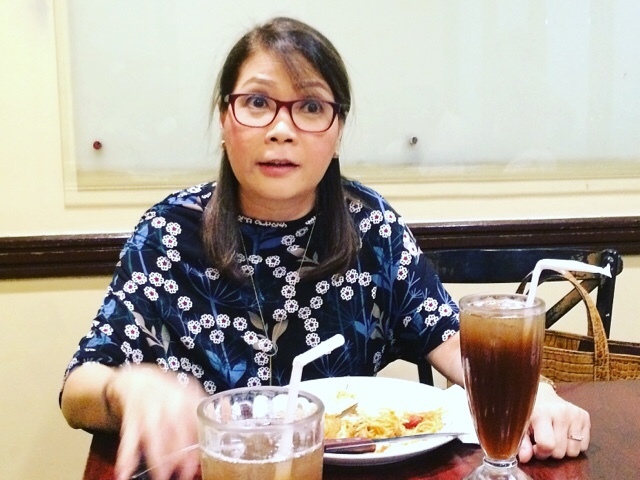 Ms. Luchi Cruz Valdez has also been bestowed an Excellence in Broadcasting Award, a feat only done by veteran broadcast journalists with the likes of Maria Ressa, Mike Enriquez and Rey Langit among others. They have gone above and beyond their duties, and Ms. Valdez has spearheaded local programs such as Emergency Response Unit and Rescue5 which has served countless lives in and around the country. She says "News5 will continue to uphold its commitment to keep the public informed and make Filipinos knowledgeable about issues of national interest. We hope to continue to provide our viewers with fast, accurate and relevant news and information - essential for building a stronger and informed nation." It's so refreshing to note that even at their limited capacity they have exceedingly delivered fast and accurate news reports, more convincing town hall type presidential election coverage and a great public service programs up until now. Be assured they're going to have more shows catered for the Filipino public and expect the best only from TV5's NEWS5.